​Please aim to arrive from 9.30 - 9.45am to allow for a prompt 10am start. The class finishes at 12.30pm when your complimentary lunch is served. Needle felting is an ancient craft dating back to Neolithic times and is to be found all over the world. 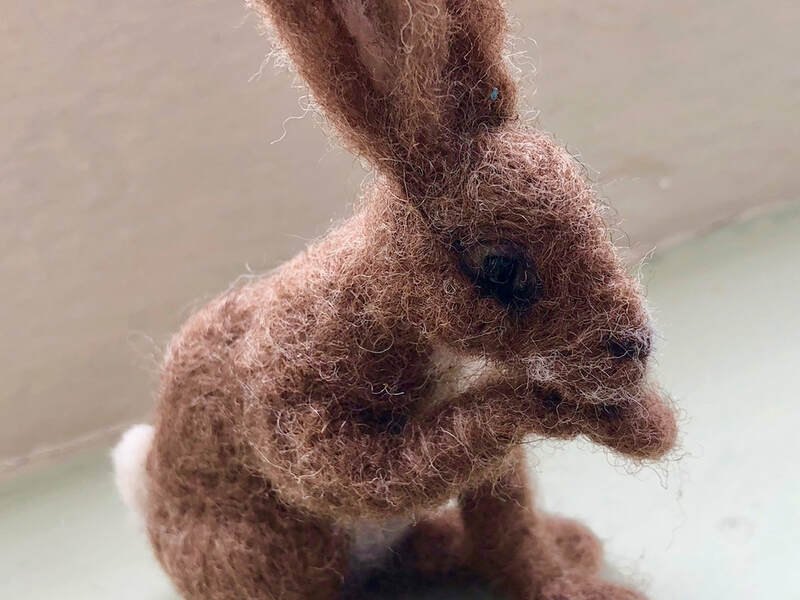 In this half-day workshop you will be taught how to craft a soft sculpture from wool which will be hand made and unique. This will be accomplished using a felting needle and wool with beads for eyes. The skills you will be taught in this course will lay the foundation for you develop the skills required to take up this fascinating and rewarding hobby. You will also be given expert advice on how to find the best materials to make you sculptures. You will be instructed how to use a variety of tools to create the 3D object. Materials are not included in your course fee. The tutor will provide all materials at a cost of £8. ​​Your tutor may not have the facilities to take card payments for materials in the workshops. Please remember to bring cash or your cheque book if your course involves buying materials from the tutor.